Operation Market Garden, launched in September 1944, was an unsuccessful Allied offensive mainly, fought in the Netherlands. It was the largest airborne operation in history up to that time. The operation was a daring one and it was the brainchild of the British General Bernard Montgomery. This operation was even the subject of the 1977 star studded movie A Bridge Too Far directed by Richard Attenborough. His intended the airborne offensive to allow the allies to break into the German heartland and to end the war, quickly. However, this was not the case, the allied offensive was to prove to be a costly failure and may have even delayed their victory in Europe. Why did this operation fail? Was it Montgomery's over-optimistic planning, poor strategy, poor leadership, German resistance or the terrain. The Allies had landed in Normandy on the 6th of June 1944. After establishing several beach heads in Normandy, the Allies managed to push forward into the Normandy countryside. The Germans initially managed to slow the Allies advance, however, a brilliant piece of Allied strategy, resulted in the encirclement of a large part of the German army, in the Falaise Pocket. The combined Anglo-American divisions inflicted huge losses on the Germans. The German army was forced into a headlong retreat. Paris was soon retaken by the Allies. The German army was practically forced out of France and retreated towards Alsace-Lorraine and Belgium. It seemed to many that the Allies were on the verge of invading German and some even spoke optimistically of ending the war by Christmas. However, in truth, the Allied successes had brought its own problems. The Allies supply lines were overstretched and this was slowing down the Americans and British in particular, the shortage of oil meant that Patton’s armored divisions had to halt their advance. This was to prove crucial and it allowed the Germans to regroup in the west, when it appeared that they would disintegrate, leading to the end of the war. By the Autumn of 1944, it was apparent to the Allied High Command that the Germans had managed to retrieve the situation and would offer stiff resistance to any future offensive. In August 1944, a British assault failed to take the deep water port of Antwerp and had allowed some 80,000 German troops from Scheldt Estuary. This became known as the ‘Great Mistake’ and was perhaps one of the biggest in the entire war. The Allied high command was reluctant to attack the Germans from eastern France, as the German government had constructed a massive line of defenses, consisting of fortresses, to protect their western border, this was known as the Siegfried Line. The British and the Americans had to go through the Low Countries to invade Germany and end the war. The Allies believed that they would need an innovative plan to break the German frontline in the Low Countries and in Alsace-Lorraine. General Eisenhower and other leaders turned their attention to the Low Countries. It offered them ports which could be used to re-supply the Allied divisions, who still were reliant on the Normandy ports for their supplies. The more forward thinking of the allied strategists became concerned about the Rhine. This river would form a formidable natural barrier to any Allied advance but if they liberated the Low Countries it would allow them to cross the Rhine and then to cross into Northern Germany and then onto Berlin. The American and the British governments became increasingly eager to end the War in Europe and they wanted to turn their attention to the Pacific War. Then the western allies believed that they were in a race to Berlin with the Soviet Army and they did not want the Red Army to capture all Germany and to turn it into a client state of Moscow. The allies needed to break the Germans resistance and cross the Rhine in the Low Countries. 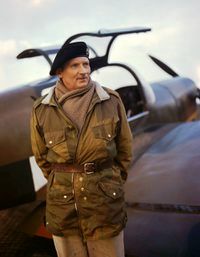 General Bernard Montgomery, the hero of the British victory at EL Alamein, proposed a daring plan. Field Marshal Montgomery’s goal, as recounted in his memoirs was to invade Germany by securing the bridges over the Lower Rhine in the Netherlands. This idea had several advantages such as by-passing the Siegfried Line. Montgomery wanted an airborne assault in the Netherlands to secure key bridges over the Lower Rhine. This would allow the Allies to enter into the Northern German plains, where there were no natural barriers, to their advance to Berlin. Montgomery’s plan was initially more ambitious but he scaled back his plans in response to Eisenhower’s criticism. Montgomery proposed the following; airborne units would be dropped behind the German lines to secure the bridges over the Meuse and the two tributaries of the Rhine. The airborne units would hold the bridges until the British ground forces arrived. Montgomery believed that not only would this airborne operation succeed in securing bridges over the Rhine, but result in the retreat of German Divisions into Germany. The Allied High Command agreed to the plan. Montgomery staked his reputation on the strategy and was backed by Churchill. The offensive was to be called Market Garden. The 'Market' part of the operation involved the airborne aspect of the operation. The operation would involve four airborne divisions. The paratroopers would land in the area by gliders or they would parachute into the target zones. Some 50,000 troops were involved and they would also be supplied with some light artillery. There were American, British and Polish units involved in the massive airdrops. The ‘Garden’ part of the plan would involve several British Armored Divisions moving into the Netherlands to link up with the paratroopers and to defend the bridges from any German counterattack. 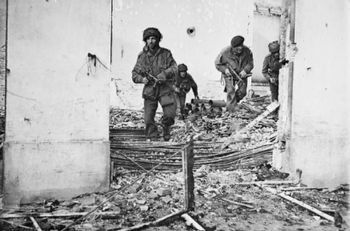 According to Montgomery, for the strategy to have worked it was dependent on two things, the quick capture of all the bridges by the Allies and the ground forces linking with the paratroopers, within days. Operation Market Garden began on the 17th of September 1944. It was a coordinated action by American, British a Polish Airborne and mainly British forces. The operation began with heavy air raids, in order to weaken any resistance. 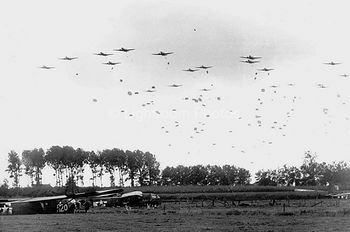 The paratroopers began landing at 13.00hrs around targets in the Netherlands, chiefly Eindhoven, Arnhem and Nijmegen. The paratroopers had the advantage of surprise and they achieved their objectives. The Germans had been taken completely by surprise. The initial phase of the operation was a total success. It had been feared that the Germans would blow up the bridges and this would mean that the plan would have to be aborted. The rapid capture of the bridges meant that the ground forces would be able to reach the landing zones, and support the paratroopers. The British ground forces fought their way to Nijmegen and captured the city, after some fierce fighting. One after another the bridges were captured by the British Ground forces. The operation appeared to be going to plan despite heavier than anticipated German resistance. The most important bridge was Arnhem, this was the most strategically significant bridge and it had to be seized by the ground forces if Market Garden was to succeed in its objectives. The British paratroopers had captured the bridge but they soon came under fierce attack from units of the crack 9th and 10th SS Panzer Divisions. The SS had armor and tanks and they pounded the British paratroopers mercilessly. The British paratroopers soon found themselves surrounded as the SS had encircled them. The lightly armed British soldiers fought bravely, but they could not hold out for long. An elite British unit, the Irish Guards, was fighting its way forward to help the airborne troops. However, because of the terrain they had to fight their way up to Arnhem on a single road and they were constantly attacked. This road came to be known as the Highway to Hell. The tanks of the Guards could not leave the narrow road as the ground was very marshy and much of it was bog land. As the Irish Guards made their way to Arnhem they were easily picked off by the Germans, who attacked them from the cover of woodland. Eventually, such was the ferocity of the German resistance that the British came to a halt. 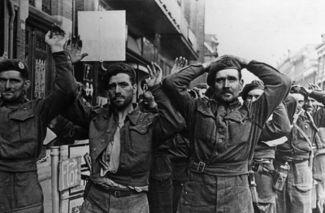 The paratroopers at Arnhem were isolated and cut-off and were forced to surrender. Operation Market Garden had achieved all of its objectives, except the most important one, the capture of the Bridge at Arnhem. Even before the start of the operation, many feared that Montgomery’s plan was too optimistic. The commander of the Polish airborne unit declared that the plan was flawed and famously stated that the prime objective of the offensive the Arnhem Bridge was ‘a bridge too far.’ He meant that Montgomery’s aims were simply too ambitious and that he was asking too much of his men. Montgomery also assumed that the paratroop unit could retain their landing zones and the bridges for a given period of time. Paratroops were only lightly armed and without support from ground troops and tanks they could not hold out for long. The British General, was wrong to believe that airborne troops could resist assault from ground troops supported by armor for several days. Crucially Montgomery, failed to understand the terrain that he expected his men to fight in. The roads in the Netherlands were narrow and that the ground around them was unsuitable for armor. This was a fundamental error- Montgomery had simply assumed that his tanks could make their way rapidly to the landing zones, by using only the roads. During the battle, the roads became death traps for many British units and they soon became clogged with burned out tanks and vehicles and this critically delayed the ground forces coming to the support of the paratroopers in Arnhem, in particular. Perhaps the biggest failing of the Montgomery plan was that it assumed that the Germans had been decisively beaten and that any counter-attack that they could launch in the area would be limited. The Germans had been driven back some two hundred miles in a matter of weeks. The British and the Americans dominated the skies and constantly harassed the Germans. The roads had become very unsafe for the Germans and they had also come under attack from the local resistance movements. The Germans had lost some 90,000 killed or wounded during the summer of 1944 and a further 200,000 had been taken prisoner or missing in action. However, after the failure of the British army to encircle the German army in the Scheldt Estuary allowed the Germans time to regroup in the Netherlands. The German front had begun to stabilize. They were also ably led by the very experienced General Walter Model. He also received some reinforcements in the form of the remaining units of the 9th and 10th SS Panzer Divisions. Unfortunately, for the Allies, especially the British, the SS units were positioned in Arnhem. This was not merely bad luck, but due to good German intelligence. The Germans had anticipated that there would be an offensive launched with the objective of seizing Arnhem, Wesel and Nijmegen. A senior intelligence officer argued that the British and the American would use airborne troops. However, he did not predict where the assault would be. 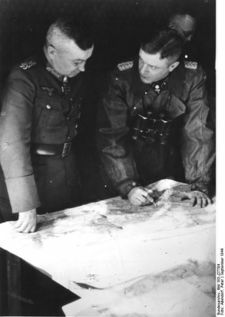 Nevertheless, German intelligence was able to provide the High Command with the information they needed to prepare for any planned Allied attack. The German General Model heeded his intelligence officers and this was to prove decisive. The British had excellent intelligence. 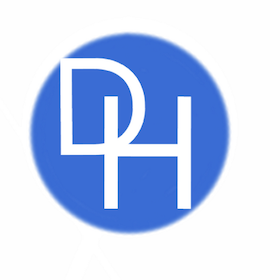 They had reliable information on the movements of the Germans, from the Dutch Resistance and they could also employ aerial reconnaissance planes to obtain photographic intelligence. 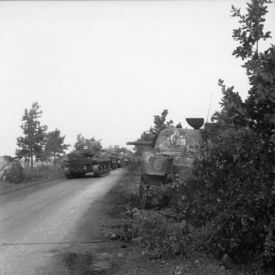 One reconnaissance mission was able to provide images that seemed to show German forces in the Arnhem area. This was confirmed by information from the local resistance. This was compelling proof that the Germans had significant forces and that any air assault on the region, would be a great risk. The intelligence officer who reported this to Montgomery was not believed. When he tried to persuade Montgomery that there was a large build-up of German forces near Arnhem, he was relieved of his command and rumors spread that he had a nervous breakdown. Montgomery’s refusal to heed intelligence was to result in a near disaster for the British. It appears that the General, refused to countenance anything that contradicted his views as he was utterly convinced of the brilliance of his plans for Market Garden and his own infallibility. The operation was not a total failure as it did lead to the liberation of large areas of southern Netherlands and gained hold of several strategic bridges. However, it failed to secure the key bridge at Arnhem, that would have allowed the Allies to cross the Rhine. The failure at Arnhem meant that any planned invasion of Germany had to be delayed. The Germans, although they had lost ground, were able to establish a strong defensive line. In total, the Allies had suffered some 15,000 casualties and had many thousands more taken prisoner. The Germans had also lost equipment and vehicles that they could ill-afford to use. An unintended consequence of the offensive was a serious famine in the Netherlands. The Dutch railways stopped during the battle, to stop German reinforcements from getting to the front line. In revenge, the Germans forbade the transportation of food, by train and in the following winter there were serious food shortages throughout the Netherland’s and thousands died of starvation or malnutrition. Operation Market Garden was a tactical defeat for the Allies, as it failed to achieve all its objectives. It failed to secure the key bridge at Arnhem and this meant that they were halted at the Rhine. This probably delayed the eventual Allied victory in western Europe. The operation failed because of a failure in planning, intelligence, and a lack of understanding of the nature of the terrain. There was also a mistaken belief that the Germans had been all put defeated. Market Garden was moreover fundamentally flawed as it mistakenly believed that airborne forces could resist heavily armed troops for an extended period. While not exclusively to blame, many of these failures were a result of Montgomery and his over-optimistic ideas and his arrogance. The failure of Operation Market Garden was largely the result of the poor leadership and tactics of General Montgomery.